Africa is at a crossroads. Its economies are growing, but most of the continent’s 54 countries are still on the verge of economic and urban transformation. This gives Africa enormous potential to overcome the example set by other continents and develop in a more sustainable manner. Despite improvements in quality of life over the past two decades, almost 60 percent of sub-Saharan Africans still experience deprivations in human development ranging from malnutrition to lack of electricity to limited education opportunities. At the same time, the continent faces unprecedented challenges. Climate change impacts such as more frequent floods and droughts are threatening years of hard-won development progress. As more people flock to cities, they are ballooning in a rapid, unplanned manner, often relying on fossil fuels to keep pace. And the ecosystems that more than 70 percent of rural Africans rely on for their livelihoods are threatened like never before. With Africa’s population expected to double to approximately 2.5 billion by 2050, sustaining economic growth is essential. But for this to be possible, a lot needs to change. Currently, many African countries are poorly equipped to manage the multitude of transitions that will accompany their growth. Working with, for and in Africa has been an important part of WRI’s history, beginning in the forests of the Congo Basin in the early 2000s. Since then, we have grown our reach to over 20 countries on the continent and expanded from forests to address additional pressing issues. Across African countries, environmental governance is weak, and there is not enough up-to-date environmental and socioeconomic data available to sufficiently influence the decisions that will shape the future. Focusing on the links between environment and development, WRI is bringing unparalleled access to independent, integrated data that seeks to inform, enable and mobilize governments, businesses and communities across the continent to make more sustainable choices. With the recent opening of WRI’s regional office for Africa in Addis Ababa, Ethiopia, we are seeking to connect our disparate projects across the continent. We will focus on creating impact at scale, meaning we’ll concentrate our efforts geographically and thematically and partner with pan-African and regional institutions like the African Union and the U.N. Economic Commission for Africa to strengthen our impact. Currently, the bulk of WRI Africa’s work falls under the themes of forests, water and cities; over time, we plan to expand work in other fields that will help determine Africa’s future, such as food security, clean energy access and climate change resilience. WRI’s forest work in Africa seeks to accomplish two main goals: protecting the continent’s valuable rainforest and restoring degraded land across the continent. Africa’s forests play a critical role in fighting global climate change, shelter rare species and act as a lifeline for millions of people. WRI’s engagement with governments to create free, online Forest Atlases has brought unprecedented transparency to Central Africa, where our maps adorn the walls of forest management offices from capital cities to provincial outposts. Leveraging Global Forest Watch’s powerful forest change data, today the Forest Atlases inform law enforcement, land-use decisions and forest monitoring across the region, as well as in Liberia and Madagascar. We are also driving forward new policies to improve both forest management and human well-being. In the Democratic Republic of Congo (DRC), WRI played a pivotal role in establishing community forestry legislation and supporting its implementation. Over 50 community forests now exist, marking the first time that communities in DRC can secure long-term management rights to their customary lands. In the Republic of Congo, WRI’s mapping and analysis is spurring action to address land-use conflict at the highest levels of government. In addition, because the Congo Basin is thought to be a large source of illegal timber globally, WRI’s Forest Legality Initiative is working in the region to combat illegal logging. About 65 percent of Africa’s land is affected by degradation, and an additional 6 million hectares of productive land is lost to degradation every year. This loss does direct damage to the continent’s economy; land degradation costs African countries about $65 million each year. Restoring degraded lands doesn’t just make economic sense, it’s crucial to create a food and water-secure, climate-resilient Africa, to sustain lives and livelihoods for a growing population and to help rein in growing emissions. In 2015, WRI approached the African Union with a proposal to create the African Forest Landscape Restoration Initiative (AFR100), a country-led effort to restore 100 million hectares of deforested and degraded landscapes across Africa by 2030. As of April 2019, 28 countries have committed to restore 113 million hectares of degraded land. The AFR100 network of 27 technical partners and 12 financial partners is supporting the countries’ efforts to deliver on those commitments. AFR100 is now at a tipping point, with countries poised to translate pledges and early successes into coordinated, large-scale restoration on the ground. WRI is helping the “frontrunner” countries likely to be the first to implement their restoration commitments develop sub-national action plans, share knowledge on what’s working, access funding and monitor progress. As the Secretariat of the Global Restoration Council, WRI also mobilizes restoration champions including Co-Chair and WRI Senior Advisor Wanjira Mathai to translate countries’ political commitment into supportive policies with adequate funding and engagement across relevant government sectors. Of all the impacts that climate change is expected to have on the continent, its effect on freshwater resources will be among the most damaging. Climate change is already altering the timing and reliability of rains and water supply and increasing the severity of drought events in African countries. Combined with other threats to freshwater availability, including rapid population growth, economic expansion, severe ecosystem degradation and poor wastewater management, the impacts of climate change on water resources will be devastating in many African countries. Up to 250 million Africans are expected to live in areas of high water stress by 2030 — a situation that threatens to upend agriculture and rural livelihoods, increase food insecurity, undermine public health and drive conflict and migration. Solving this problem is urgent, but it can also bring about positive change. African leaders have recognized the development opportunity inherent in securing water resources, as investment in climate resilience can spur equitable economic growth. However, the continent’s technical capacity and financial resources currently do not reflect this urgency. WRI aims to help fill this major gap by: improving the ability of governments to measure, map and monitor water risks through research, data platforms, tools and trainings; supporting projects that fight multiple challenges at once, such as water, food and energy supply; and developing reliable solutions to alleviate water stress. Currently, WRI’s water work in Africa is focused on Ethiopia. With projected steep increases in demand for water across economic sectors (such as agriculture, energy, manufacturing and cities) and increasing variability in rainfall due to climate change, demand will outstrip supply in certain areas, and vulnerability to drought shocks will increase. Upon request from the country’s Ministry of Water, Irrigation and Electricity (MoWIE), WRI Africa and the WRI Global Water team are working to improve the information available on the country’s water resources and water-related climate risks. This will help Ethiopia identify water-related constraints to the country’s economic transformation, as well as strategies to address these risks. In partnership with MoWIE, we are now developing a water risk model using this new data. By 2030, half of all Africans will likely live in cities. Over the next decade, WRI will work with partners to support an alternative path toward thriving, dynamic and resilient cities in Africa. WRI’s cities-related work in Africa began with a road safety initiative in Addis Ababa, Ethiopia; it is now expanding across the continent. To encourage safe, sustainable transportation options, WRI is providing Addis Ababa with technical support on issues including speed management, safe pedestrian and cycling routes, “car-free days” and public transit operations. WRI is helping Addis develop a digital map of its public transport — the first of its kind. We are also working at the federal level to engage Ethiopia’s secondary cities on issues of improved road safety and mobility; the mobility plan for the city of Dire Dawa is already underway. 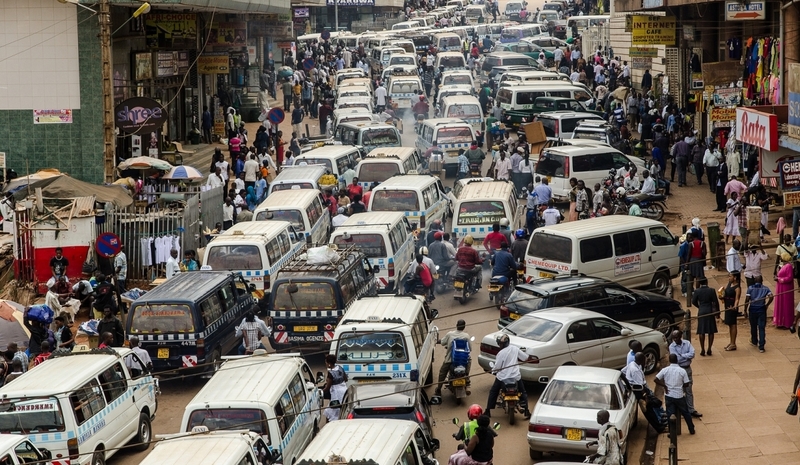 Elsewhere on the continent, WRI is helping to map Africa’s transportation networks, and to develop guides for designing speed limit zones and regulating informal minibus systems known as “paratransit”. The organization has also developed mobility profiles of 12 cities in six countries (Uganda, Nigeria, South Africa, Ethiopia, Kenya and Ghana). WRI is a member of several coalitions dedicated to fostering urban development that will ensure a more promising future for city residents worldwide, including in African countries. Through the Global Platform for Sustainable Cities, WRI provides capacity-building and trainings to the 28 participating cites through peer exchange and remote learning opportunities. This includes five African cities: Johannesburg (South Africa); Diamniadio, Dakar and Saint-Louis (Senegal); and Abidjan (Cote d’Ivoire). The Building Efficiency Accelerator — a public-private collaboration dedicated to advancing government policies on building efficiency — is currently partnering with six African cities in Kenya, South Africa and Ghana. Working with local partners ICLEI Africa, the Kenya Green Building Society and the South African Green Building Council, the group aims to recruit more cities in the region. Addis Ababa is a founding member of the Cities4Forests coalition, established in 2018. WRI is providing Addis with technical support to develop an action plan for the next three years, including financing communication tools and database development. WRI is an implementing partner of USAID's Central Africa Regional Program for the Environment (CARPE). One in three Africans are currently affected by water scarcity. Africa holds almost 30 percent of the world’s forests, which are under increasing pressure from agriculture, timber, minerals, oil and gas development. By 2030, half of all Africans will live in cities. EMBARQ catalyzes and helps implement environmentally, socially, and financially sustainable urban mobility solutions to improve quality of life in cities. The Forest Atlases are online platforms that help countries better manage their forest resources by combining government data with the latest forest monitoring technology. WRI’s analysis and outreach supports the development of transformational low-carbon clubs—smaller groups of countries serious about combating climate change—that will drive emissions reductions and complement the multilateral UN climate regime. WRI’s Land and Resource Rights project aims to ensure that rural people and the urban poor have secure rights over their land and natural resources. Building the capacity of developing countries to effectively track progress toward meeting domestic climate, energy, and development goals.